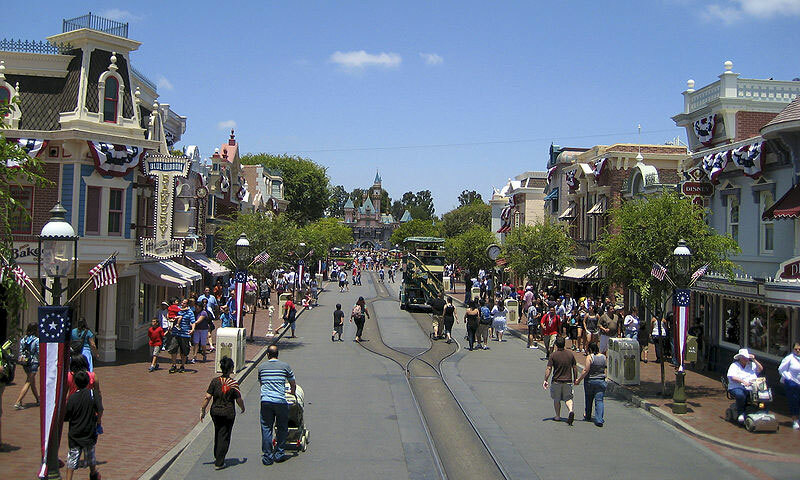 Located in the city of Anaheim, one of Southern California’s most beautiful and prosperous cities, the magical place known as Disneyland has for many years been offering a thrilling and nostalgic experience for children and families from around the world and creating memories that will last a lifetime. Opened in 1955, Disneyland—and the recently added California Adventure Park—is much more than a simple amusement park; it’s a place where everything you can dream seems possible. Perhaps this is why Disneyland is one of the most popular and oft-visited theme park attractions, not just in California but throughout the world. In the following article we will highlight five of the coolest things to do and see when visiting Disneyland, and describe in detail the various characteristics that have made each of these attractions so popular among generations of park guests. Located in the part of the park known as Fantasyland, Disneyland’s “It’s a Small World” ride provides guest with the unique and entertaining opportunity to embark on a whimsical boat ride around the world, as they are serenaded by the joyful voices of children’s choruses, sung by characters of all races, creeds and ethnicities. “It’s a Small World” is a cool and very slow water ride, making it perfect for guests of all ages. In fact, it is one of the most ideal and well-liked rides in the entire park—perfect for guests ages 1 to 100—giving all riders the opportunity to sing along with the characters and their well-known song as they travel through various countries and witness a variety of different customs, languages and traditions. Often called the “Happiest Cruise that Ever Sailed,” “It’s a Small World” introduces guests to the classic anthem of world peace during a musical boat tour hosted by the children of the world. The ride’s endless parade of boats means there is a seldom a long line to enjoy it, so at all times of the day guests can climb aboard a cozy boat and set sail along the “Seven Seaways Canal” for an approximately 15-minute journey, presented and hosted by the Siemens Corporation. Like everything at Disneyland, the attraction known as Tom Sawyer’s Island offers a magical experience for guests of all ages, and a great place at which to rest and recharge one’s batteries for the remainder of the visit. A visit to Tom Sawyer’s Island, which is named after the famous fictional character brought to life by the popular novelist and humorist Mark Twain, begins with a short raft trip on vessels that bear a striking resemblance to the raft used by Tom Sawyer’s friend, Huckleberry Finn, on his well-known voyage down the mighty Mississippi. The brief raft trip transports guests from Disneyland’s main park area across a wide river that serves as the backdrop for a great many of the park’s water-based rides and attractions. The raft docks at Tom Sawyer’s Island, where visitors debark for the exciting adventure ahead. Once they reach the island, guests are free to explore all this attraction has to offer on their own time—attractions that include an intricate maze of rock tunnels, rickety suspension bridges, rope swings and more. On the west side of the island is a replica of an old fort, complete with a saloon-like area where marooned islanders can purchase and enjoy ice-cold lemonade and a wide range of snack foods. The adventure that is Tom Sawyer’s Island is the ideal spot for children looking to run and play and burn off energy, and the many tunnels, twists and turns make it perfect for a game of tag or hide and go seek. Benches and picnic tables are scattered throughout this timeless attraction—a great perk for parents and older guests, as it offers a shady spot to rest while the kiddos go wild. Tom Sawyer’s Island is one of Disneyland’s oldest and most well-loved locales, and while the park has changed dramatically since its opening in 1955, the island has continued to stand the test of time and rates highly in terms of popularity and the number of visits. Although it has only been around for several years now, the stretch of prime real estate known as Downtown Disney offers a wealth of opportunities for shopping, dining and all-out fun and entertainment. And the best part? Guests can stroll through Downtown Disney without having to pay the (very expensive) park admission fee. Downtown Disney is perpetually teeming with visitors looking to experience and bask in the Disneyland magic. Here guests can take their time perusing a variety of popular shops and boutiques, all of which offer merchandise representing the sought after Disneyland brand. Collectively, these shops offer a variety of goods, including shirts, sweatshirts, hats, souvenirs and other memorabilia—collectables that all depict the Disneyland name or the variety of Disney-themed characters that are associated with the Magic Kingdom. Visitors to this part of the park can also buy postcards, stationary, key chains and much, much more. After guests get their fill of shopping at Downtown Disney, they will definitely want to sample some of the amazing food offered here. Downtown Disney is home to a number of great restaurants, including a delectable Mexican cantina, an upscale steak and seafood restaurant, an Italian Café and countless snack-style stands selling everything from popcorn to churros to frozen, chocolate-covered bananas. One of the most popular spots at Downtown Disney is the ESPN Zone, a restaurant, bar and entertainment center themed after all things sports. In addition to the tasty fare, delicious cocktails and the wide variety of craft beers available at the ESPN Zone, there is also a raucously entertaining arcade, where guests can test their skills on the many sports-themed games of chance. Children will feel right at home at Downtown Disney—a place where Disneyland characters such as Mickey Mouse, Donald Duck, Pluto, Goofy and others are always on hand to shake hands, give hugs and pose for pictures. Street performers can also be found at Downtown Disney, awing visitors with their respective talents. No reservations or tickets are ever required for admittance into Downtown Disney, and because of all the fun to be had here—fun for children and their parents—this particular Disneyland attraction continues to grow in both numbers and popularity. One of the most timeless and animated rides within the Disneyland borders is “Pirates of the Caribbean”—an experience brought to life by the actor Johnny Depp in the Disney film series of the same name. Pirates of the Caribbean, the ride, takes park guests on a swashbuckling voyage to a long-forgotten time and place—a time and place when pirates wrought havoc and destruction as they traveled the high seas. The ride is located in the part of the park known as “New Orleans Square” and is open between 10:00 AM to 9:00 PM, with extended hours during the summer months. Guests can be any height to ride Pirates of the Caribbean and all ages are welcome. According to the Disneyland website, “Pirates’ is a loud, dark, water ride adventure, with a few small and somewhat scary drops.” Because of the darkness and noise, parents should use their own discretion with regard to very small children. Guests who choose to ride Pirates of the Caribbean will first be treated to a brief trip inside a grand southern manor, after which they will board a small, barge-like vessel within a stone wall fortress. As the ride begins, riders will pass through a shadowy grotto, escape past the Blue Bayou Restaurant (a Disneyland favorite), before sliding down a small, yet unexpected waterfall into the graveyard of fallen pirate outlaws, marking the commencement of this inky, dark adventure. As riders sail through the cool water they will be met by boisterous buccaneers, all of whom appear drunk on the rum they plundered. As the ride continues, a chorus of the famous Pirates of the Caribbean song is piped in, with pirates bellowing the lyrics “Yo-Ho, Yo-Ho the Pirate’s Life for Me.” A shootout between neighboring ships marks the middle of the ride, with make believe gun and cannon fire seemingly passing directly overhead of park guests. On this treacherous voyage through the 17th century seas, visitors will come face to face with a series of rowdy rogues bent on destruction and debauchery—pirates who once ruled many a seaport town under the watchful eye of the “Jolly Roger” flag. Pirates of the Caribbean is well-loved by guests of all ages, including generations of children and adults, largely because it offers a great visual and auditory experience and a cool and comfortable diversion during the blazing heat of some summer days. As with all Disneyland rides and attractions, this particular adventure is included with the price of admission. A tradition of many frequent Disneyland visitors is to culminate their park visit with a ride on the Disneyland Railroad—a chance to briefly revisit all the magic the park provided during their stay. The Disneyland Railroad is located at the very front of the park, near the entrance and exit turnstiles, in a part of Disneyland known as Main Street U.S.A. Guests of all ages are permitted to ride the Disneyland Railroad with their park admission and there is no height or weight requirement. Parents, however, may want to keep their younger children close to them and protected, as the ride, although very slow, can be quite loud and dark at times, especially at night. A noted and celebrated train enthusiast, Walt Disney, the founder of Disneyland, built his very first mock railroad in his backyard. The Carolwood Pacific Railroad, a 1/8 scale train, debuted in 1950 and featured a custom-built, steam powered locomotive that encircled Walt Disney’s property. This train gave him the idea to replicate the feat on a larger scale at the park that bears his family name. Delighted with his miniature backyard railroad, Walt Disney decided to share his adoration for trains with the rest of the world. The result was the Santa Fe Railroad and Disneyland Railroad, a favorite of park guests since Disneyland opened its doors in 1955. Today, railroads exist at every Disney Park around the world, including Florida’s Disneyworld and Epcot Center, and other Disney parks in place such as Paris, France and Japan. A ride on the Disneyland Railroad takes guests on a grand tour around Disneyland, visiting places such as Tomorrowland, home of the rides Space Mountain and the Rocket Ship Ride, Fantasyland, where you’ll find such rides as Mr. Toad’s Wild Ride and the Magic Teacups, Adventureland, home to the Jungle Cruise and the Enchanted Tike Room, New Orleans Square and, of course, Main Street U.S.A. Note: to accommodate the fireworks performances at the various Disney parks, including Disneyland, the Disneyland Railroad may close occasionally throughout the year, especially during period of high winds and inclement weather.